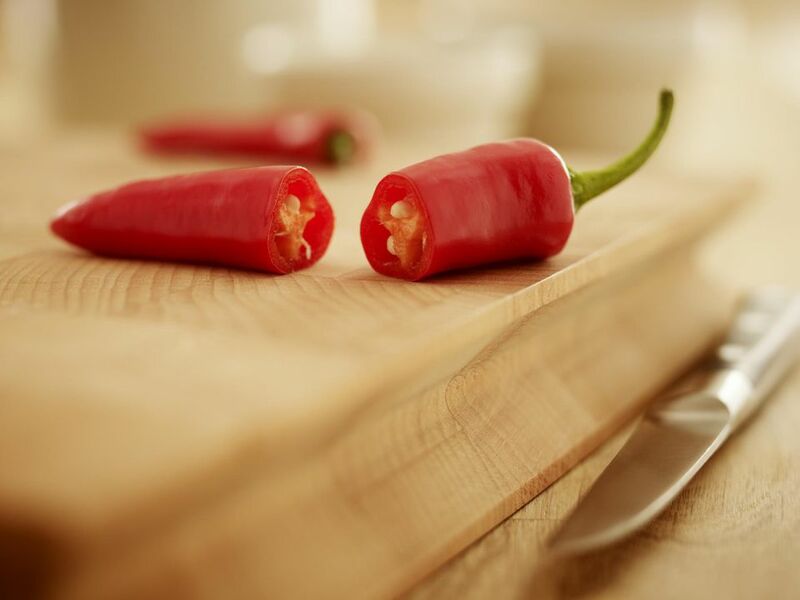 Chile peppers like jalapeños, serranos, and habaneros all have different degrees of heat. How hot they are is determined by how much of a chemical called capsaicin they contain, and their heat is measured using a system called the Scoville Scale. The Scoville Scale is divided into units called Scoville Heat Units, which are a way of describing how many drops of sugar water it would take to dilute the heat of a given pepper. These numbers are expressed in the thousands for milder peppers all the way up to hundreds of thousands or even millions for the hottest peppers. The Scoville Scale was developed in 1912 and originally a panel of human tasters. People would taste a sample of a pepper diluted in a sugar solution and report what level of dilution was required so that the pepper no longer tasted hot. This subjective and not very reliable system has since been replaced by a method called High-Performance Liquid Chromatography, which reads the chemical fingerprint of capsaicin in a pepper and measures exactly how much capsaicin it contains. Even using this technology, the Scoville ratings are not absolutely precise. The same species of pepper grown in different conditions can have different heat levels. Variables such as variations in the soil and the amount of sunlight a growing pepper gets can affect the heat (more sunlight produces a hotter pepper). There are many ways to use hot peppers—hot pepper sauce, pepper jelly, dips, and even hot pepper cocktails. To safely use hot peppers in your dish, it's important to be prepared and take some precautions. Wearing rubber gloves will help protect your hands from the capsaicin oil. Be sure to avoid touching your eyes or other sensitive body parts with your hands once you have handled the peppers. Removing the seeds and inner membranes of the peppers will also help tame the heat. As you learn more about the different varieties of peppers (and their heat), experiment with removing less and less of the seeds and membranes. It can be helpful to keep a dairy product on hand while cooking with or eating hot peppers. Dairy can counteract the power of the capsaicin, so drinking milk, or eating yogurt or sour cream can help if the spiciness of the pepper overwhelms you. If you've included hot peppers in your dish and are serving it to others, be sure to inform your diners what to expect—no one likes to be overwhelmed with unexpected spicy flavors on their first bite.